Patterned Glass Offering Bowls. 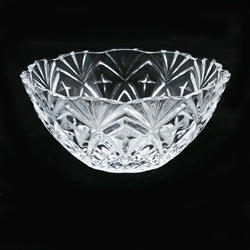 A decorative water offering bowl. Traditionally, Buddhist Offering Bowls sit on the altar or shrine holding water or objects for the 5 senses--representing the splendor of the appearing world. 4.5" diameter, and 2.25" in height.